Design artifacts, with regard to modern life, have become ubiquitous. With imperceptibly infiltration, the amazement brought by it has long been adapted and accustomed in the human history. While obtaining the comfortable experience and visual enjoyment provided by design, people are constantly delivering demands and feedbacks, promoting the self-development of design. Through such an approach, the direct connection between design, product and service has been established gradually as well as the organic interaction. Concentrated on people-oriented users’ requirements, how to fulfill the positive interaction between design and people has become a heated topic worth discussing. In 2018, Design Beijing extracted the idea of life from daily behavior in the name of “design interaction”, exploring more interactive possibilities between design and human life as well as optimizing its own function through interconnection of different characteristics, for the purpose of establishing more meaningful contacts between design and people instead of just meeting unilateral supply and service. 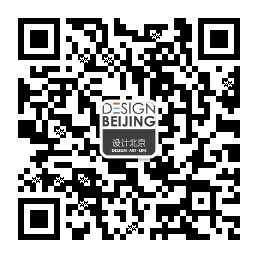 Design Beijing incorporates the aesthetic standards of art, the cutting-edge thinking of design and the daily needs in order to build up a realistic platform “above design” that can constantly meet the needs and expectations for design. We firmly believe that excellent design can accommodate superb technology, high-quality vision, and sincerity in serving people and decorating life.